TAHOE-TRUCKEE, Calif. — Tahoe-Truckee was recently one of 30 communities across the nation to be honored with a 2014 “Pacesetter” award by the Campaign for Grade-Level Reading. The community was cited for making “measurable progress” on student attendance outcomes — one of the three campaign strategies. Tahoe Truckee Reads, the local grade-level reading campaign, saw a 2 percent reduction in chronic absenteeism. 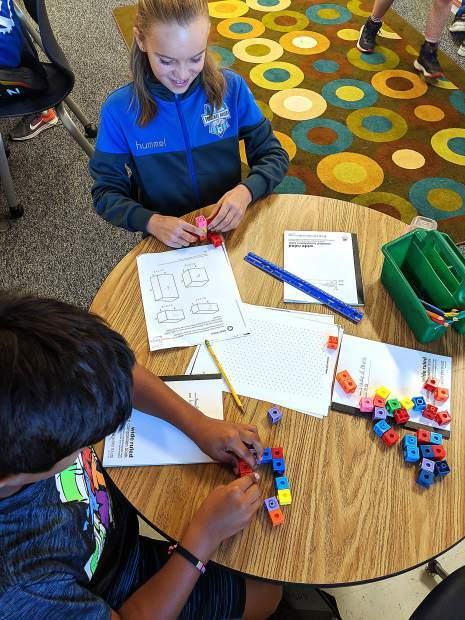 The percentage of Kindergarten through third-grade students who were chronically absent in the Tahoe Truckee Unified School District fell from 8.4 percent in 2012-13 to 6.5 percent in 2013-14. This represents more than 100 more students who were not chronically absent (missing more than 10 percent of the school year). National tests show that two-thirds of U.S. fourth-graders, and four-fifths of those from low-income families, are not reading proficiently. The community previously received the 2012 “All America City” award and 2013 “Pacesetter” award. This year, Tahoe-Truckee and the other award winners are part of a nationwide campaign — now operating in 167 communities — that is committed to increasing the number of children who are reading at grade level by the end of third grade. The Grade-Level Reading Communities Network now includes 2,100 local organizations at work in 41 states, plus the District of Columbia, Puerto Rico and the U.S. Virgin Islands. Pacesetter honorees were selected from among 76 communities in the Grade-Level Reading Communities Network that participated in a series of activities in 2014 designed to strengthen their work. The Tahoe Truckee Reads literacy campaign is a partnership among the Excellence in Education Foundation, Tahoe Truckee Unified School District, Tahoe Truckee Community Foundation, Community Collaborative of Tahoe Truckee, Placer and Nevada County First 5, Placer and Nevada County Health and Human Services. Its goal is to ensure all children are reading proficiently by the end of third grade. Visit TahoeTruckeeReads.org to learn more. This article was submitted to the Sun by the Campaign for Grade-Level Reading. Visit gradelevelreading.net to learn more.